Moving to San Diego at eighteen, Robert fell in love with the city the peopleand the scenery; knowing very quickly this is the place he would raise his family. Roberts compassion and leadershipstems from him being very much a family man with 3 kids, 3 step-kids, 3 cats, and 3 dogs. He is an avid sports fan (favorite teams being the Padres and Chargers) and in his spare time enjoys family time fishing and taking his boat on the bay. Always being drawn to the real estate industry Robert quickly became infatuated, even mesmerized, by property and knew he would have a career involving real estate. He leaned more towards the mortgage side of the industry after finding his passion for the finance aspect. His first taste of the trade was working at Saratoga Savings where he started his twenty-seven-year journey. He worked there until the company closed down, taking away with him lessons many could only hope to learn at such a young age (22 years old). Robert went to work for his father-in-law, Don Rogers, who would pass the company on to him. Running his own company with his wife at the time, he wanted to work for the client, not the file. Robert learned from his past that every client’s needs and stories are different, thus customizing every loan to the client. 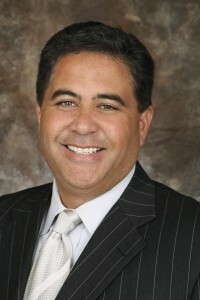 In the industry since 1989 Robert has helped 1000’s of people in purchasing and refinancing homes. Because of his vast experience he has seen and dealt with almost every type of situation that could walk through the door. Robert has many repeat clients, several of which have followed him through his career. Starting with one family member at the beginning of his career and now dealing with the 3rd generation of the family’s loans and refi’s. Robert is on the board of directors of BBB for San Diego County, Riverside County, and Orange County; and has served on many other business boards involving the community. Over the years Robert has built contacts from all facets of the industry and the drive for him to provide a first class experience for his clients, and maintain the relationship sets Robert far apart from others.